An all-new, never-before-published original short novel by the bestselling author of The No. 1 Ladies' Detective Agency, about a hapless American tourist's larger-than-life comical trip to Ireland. Shortlisted for the 2015 Bollinger Everyman Wodehouse prize for comic fiction Cornelius P. "Fatty" O'Leary and his wife, Betty, plan a vacation in Ireland for his fortieth birthday, where they will tour his ancestral homeland and relax in the countryside. Almost immediately, things go terribly wrong: the seats in economy class on the plane are too small; the country hotel's dinner spread and bathroom fixtures leave much to be desired; and the down-to-earth O'Learys find their fellow guests are more than a little snobbish. 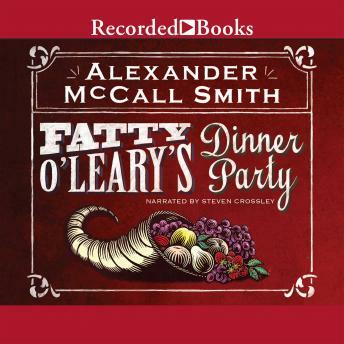 In this amusing and touching portrayal of a kindly, misunderstood soul, McCall Smith has created yet another memorable character who will become an instant favorite to his many fans.